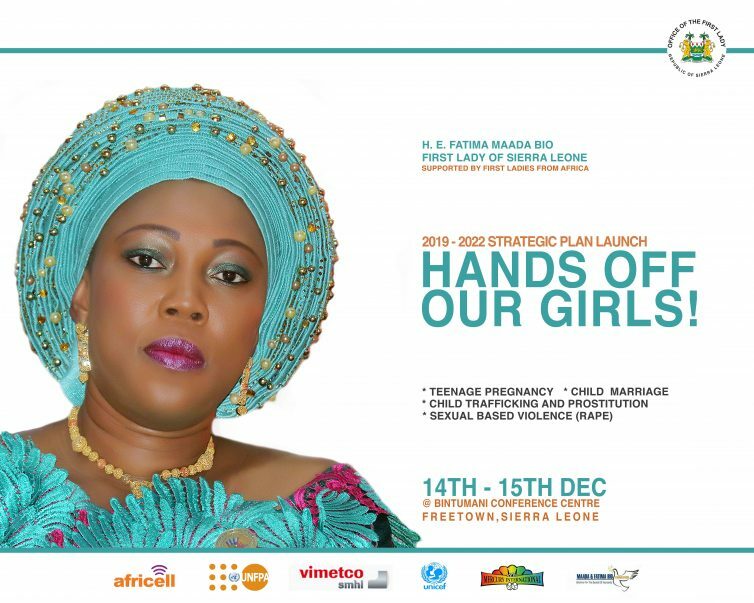 First Lady of the Republic of Sierra Leone Fatima Bio has categorically stated that she will do all in her power as Lady to ensure that sexual and other forms of violence against girls and women is eradicated. It all happened on Monday 26th November 2018, at AIRadio’s newly renovated studio in Freetown, where the First Lady was guest. Speaking with passion and determination, in her usual cool but outspoken manner, the First Lady, Madam Fatima Jabbie Bio officially launched her flagship program with the theme: ‘Hands Off Our Girls’ effectively sending the message that she is determined to leave no stone unturned in the fight against issues affecting teenage girls.  Speaking further, the First Lady told listeners of the programme that and other First Ladies across Africa will be launching the 2019-2022 ‘Hands Off Our Girls’ campaign, aimed at addressing the many issues affecting girls namely: Teenage Pregnancy, Child Trafficking and Prostitution, Child Marriage and Sexual Based Violence. She called on the judiciary, parliamentarians, religious leaders, community heads and law enforcement agencies to help eradicate these practices which greatly affect children and teenage girls, not only in Sierra Leone, but in Africa as a whole. Madam Fatima Bio called on all Sierra Leoneans to embrace the campaign and make the country a better place for girls and women to live. Women activists who listened to the program praised the First Lady for taking this big and bold step. In her, they see a real mother and partner in the fight against abuse of women. Some social commentators say they too could resonate with the stance of the First Lady and are optimistic of a brighter future as they claim that she has a proven track record of a determined campaigner and fights for what she believes in. How can I be a part of this campaign?